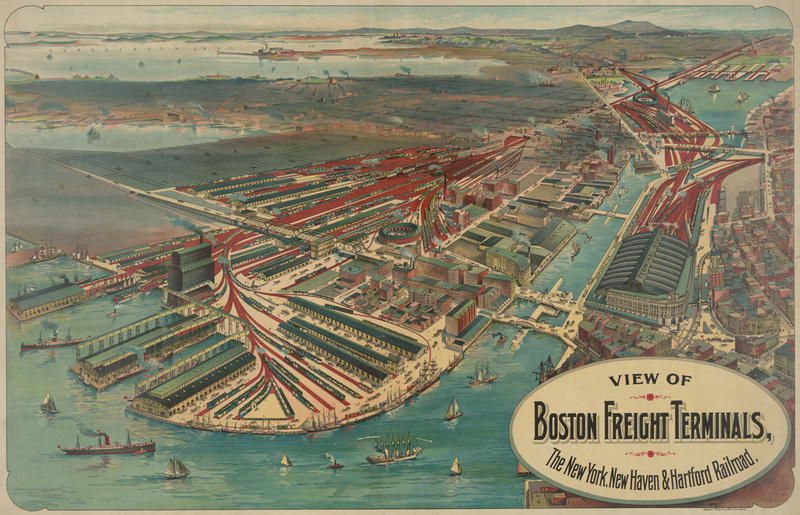 In 1903, when Walker & Co. published this bird's eye view of the area around Fort Point Channel, trains were still king and Boston was full of freight yards, such as the New York, New Haven and Hartford Railroad's yard on the South Boston side of the channel, where it met Boston Harbor. Read more. Developer Joseph Fallon says the city and state have made it financially impossible for him to build a hotel on Fan Pier and so is asking the BPDA to let him build up to 245 new residential units instead. Read more. Adam Castiglioni went down to Fan Pier today to see the Gloria, a Colombian Navy tall ship docked there. Troublewithtribbles photographed the ship lit up last night. Rob Littlefield got up early to take a peak at the tall ship Cuauhtémoc, currently berthed at Fan Pier. NorthEndWaterfront.com reports the ship will have public visiting hours today through Sunday. The Boston Licensing Board decides tomorrow whether to grant a packie license to a proposed neighborhood grocery on the first floor of the Vertex building on Northern Avenue. Read more. An investigation into an argument between two groups that ended with gunfire on Fan Pier in February is "kind of at a dead end" because nobody involved wants to talk, a police detective says. Read more. Vinod Johnson watched the Bandaloop dance troupe help the Fallon Co. inaugurate its new 12-story office building at 100 Northern Ave yesterday. I just want a basic sandwich not microwaved blah. 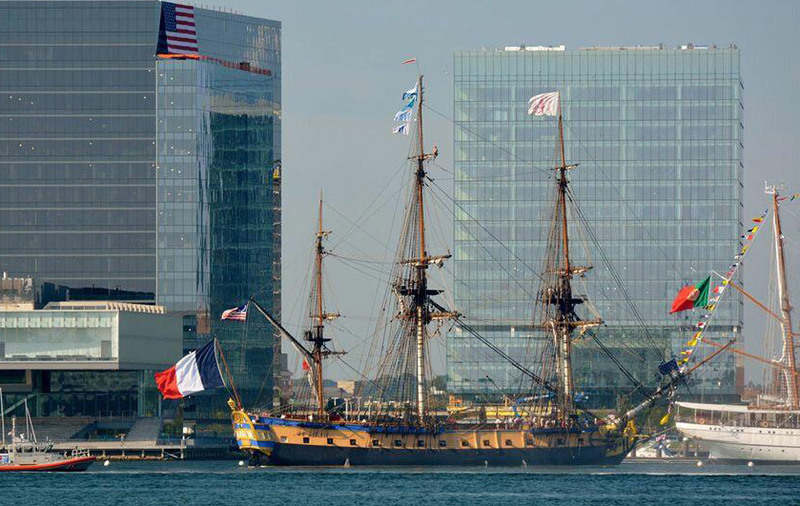 John Gage got a good look at the French tall ship Hermione, which glided into Boston Harbor this morning. To her right is the Sagres, which came into port yesterday. Jennifer Che reports on her visit to Mario Batali's new pizza place on Fan Pier, where pizzas are cooked for just 90 seconds - in a 1,000-degree oven. It doesn’t replace the North End by any stretch, and if you’re a visitor looking for one place to enjoy Italian food in Boston, I would probably still head to the North End. However, if you work or live in the area (or are attending a conference at the Boston Convention Center), it’s an excellent place to enjoy a great meal. How you gonna keep 'em down in the Seaport? Capt. John Greland at C-6 reports that around 2:10 a.m. on Saturday, a brawl outside 1 Marina Park Dr. ended with several participants injured and on their way to local hospitals. Greland reports no arrests at this time. Batali's attorney, Joseph Hanley, told the Boston Licensing Board that Batali will spend $2.5 million in total to outfit his planned Babbo on Fan Pier. As required, Hanley answered the question of the public need for the new restaurant: He said the Innovation District is attracting innovators, who need an innovative restaurant in which to eat. 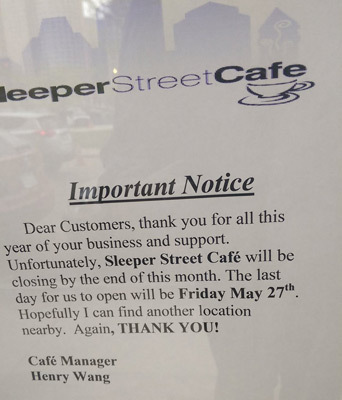 The Boston Licensing Board next week considers a request from New York celebrichef Mario Batali to buy the liquor license of the recently shuttered Castlebar in Oak Square. If the board approves, Batali will be able to serve harder libations to customers of his planned Babbo pizzeria in a new building under construction on Fan Pier. The board's hearings begin at 10 a.m. on Wednesday in its eighth-floor hearing room in City Hall. The Globe reports New Yorker Mario Batali is opening a wood-fired pizza place on Fan Pier. You may recall how last year, Batali was all set to buy Todd English's liquor license from his defunct Kingfish Hall for a wood-fired pizza place on Summer Street, only there was all the unpleasantness over English's license being seized and all and then Batali's would-be landlord had second thoughts about putting in a wood-fired pizza oven. The mayor and officials from the Fallon Co. put their ceremonial shovels in the ground today to launch 22 Liberty, a 14-story luxury condo building on the waterfront that features a stepped design so that residents can get views of both the harbor and downtown. Fallon says some of the units will feature three or more bedrooms, unusual in a city where developers seemed to go out of their way to ensure families with kids would be sent looking elsewhere. The building is the latest piece of a 21-acre project between the federal courthouse and the ICA. Noah Sachs spotted Michael Richard Smith, the guy who took up residence on a canoe on Boston Harbor last fall as he paddled past Louis on Fan Pier today. David Parsons captured the Financial District in the fog the other night from Fan Pier.